After EA and Respawn Entertainment surprise launched Apex Legends this week, it caught the industry by storm. Many believed that its foundation was that of a Titanfall game, which evolved into this new battle royale shooter. Even as a new IP (set within the Titanfall universe), it managed to reach 10 million players in just 72 hours of its release. This has led EA’s stock to jump more than 11% on Friday, February 8, 2019. Despite EA missing the mark with their latest expectations and even seeing their stock drop 13% earlier this week when the company released its quarterly earnings call, they’re coming out in the green thanks to Apex Legends. In regards to the game’s success, it’s a bit unusual since the battle royale scene has been seemingly over-saturated and dominated by games like Fortnite and Call of Duty: Black Ops 4’s Blackout. Even with the pedigree of developer Respawn Entertainment, no one could have predicted the success it’s garnered. 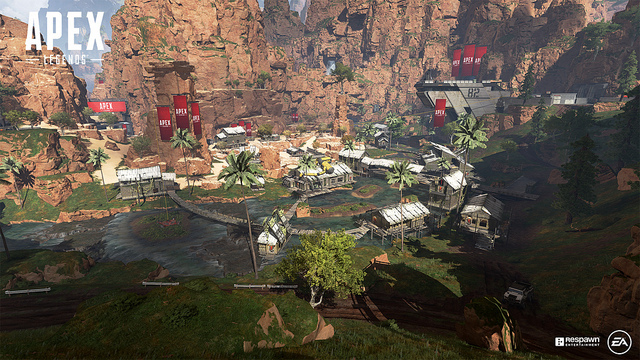 Apex Legends is a game that will continue to evolve and improve, as players provide meaningful feedback. One thing on the minds of EA is the inclusion of cross-play for the Battle Royale game. This feature has not been confirmed, but it’s likely going to be included as cross-play becomes more important, especially with next-generation looming. It would be crazy if it wasn’t in the works as we speak. While Apex Legends seems to be a major priority for EA right now, a Titanfall game is still reportedly in the works. However, it’s unclear what that will look like or how it fits into what will probably be another busy release schedule of games this year. It’s easy to hate on EA, but having Apex Legends under its belt is a positive thing and judging by the numbers, the company seems to be doing something right. Have you played Apex Legends? How are you liking it? Let us know in the comments.